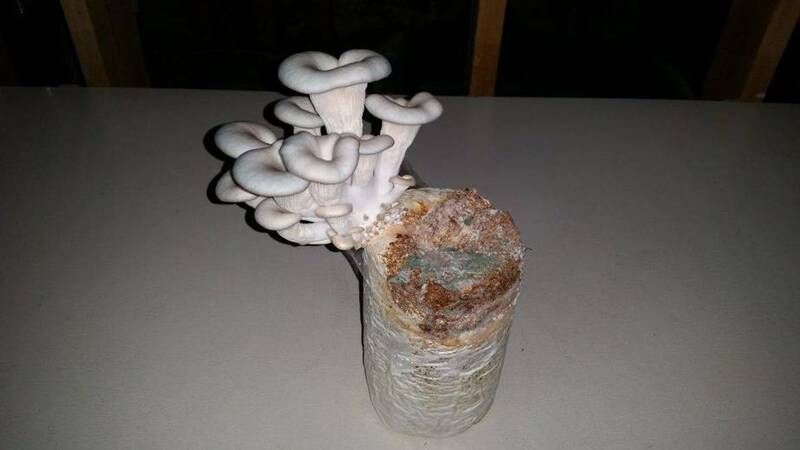 I’ve always been fascinated by growing mushrooms and have tried many times with very limited success. I’m trying again with an Oyster Kit and got my first flush. However I am again battling a surface mold. This is the problem I’ve repeatedly had in past efforts. My family loves mushrooms and we would eat several pounds a week if we could so one of my goals is to build something in my basement to produce them. But I still haven’t figured out the contamination issue. From what I’ve been heard and read something the size of a closet could produce enough for a family, but I haven’t been able to find a source of concrete information of someone doing it. Growing Shiitake mushrooms seems to be one project where a little bit of effort has a huge payoff. For a one time investment in some minimal equipment, a bit of foraging for wood, and a small amount of time you can have your own Shiitake mushrooms for years to come. Unlike a lot of mushrooms, Shiitake’s dehydrate exceptionally well, which make them ideal for long term storage. In fact this is the most common way I see them sold. I learned that most Shiitake Mushrooms available for purchase at stores are grown in a sawdust mix. This method of growing mushrooms diminishes both the taste and medicinal qualities of the mushroom, furthermore sun dried Shiitake mushrooms can yield up to 20,000 international units of vitamin D per serving vs 100 units if a dehydrator is used. Again we see how growing your own food is not only an economical choice, but is also a higher quality end product. I posted this article about how to grow Shiitake mushrooms to Jason Akers website at theselfsufficientgardener.com. Jason has been a great contributor to save our skills with his great article on how to build a low budget top bar bee hive and his $10 cheese press.